Marc de Vinck sent us a few more shots of the Romo phonebot. Like a lot of people at the show, Marc is aghast at the bloat of electro-plastic tchotchke (even by CES standards!) in the main hall (“endless Swarovski crystal iPhone cases”). But he says that Eureka Hall Tech Zone is where the best action is, the highest concentration of tech that most makers might find interesting. Yesterday we had a report from Zigurd Mednieks about bots at the show with hacks potential. One of those was the Romo, seen above. 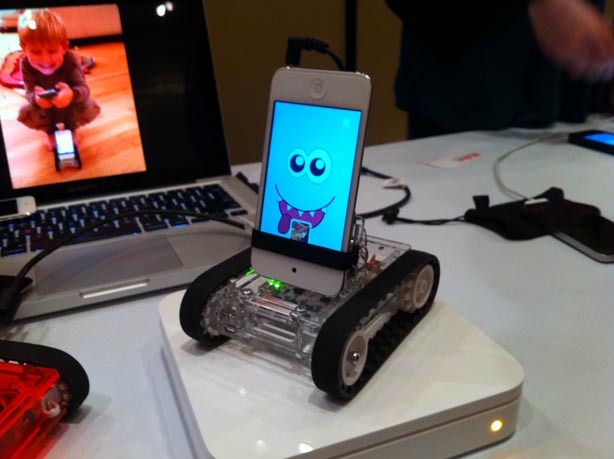 It looks to be a pretty sweet little iPhone-based robotics platform with a free SDK and an app store model to develop and distribute new programs for it. At $99, the price is decent, too. The Romo is expected to start shipping in April 2012. 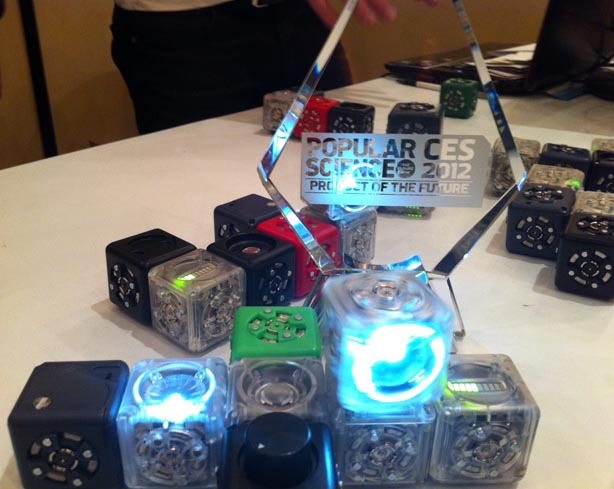 Marc also sent this snap of the Cubelets booth where they had just nabbed a Pop Sci CES 2012 “Product of the Future” award. We’re proud of the fact that this very cool and promising modular robot building system made its debut at Maker Faire. We’re excited to see its further development and product launch. We think this product could have a real future.